Created in association with the world-famous Cirque Eloize company, The New Chinese Acrobats represent the next step in the evolution of acrobatic companies from the East. Mixing new techniques and acts with ancient traditions, The New Chinese Acrobats present the opportunity to view the best of China’s ancient folk art, mixed with the style and virtuosity of today’s generation. 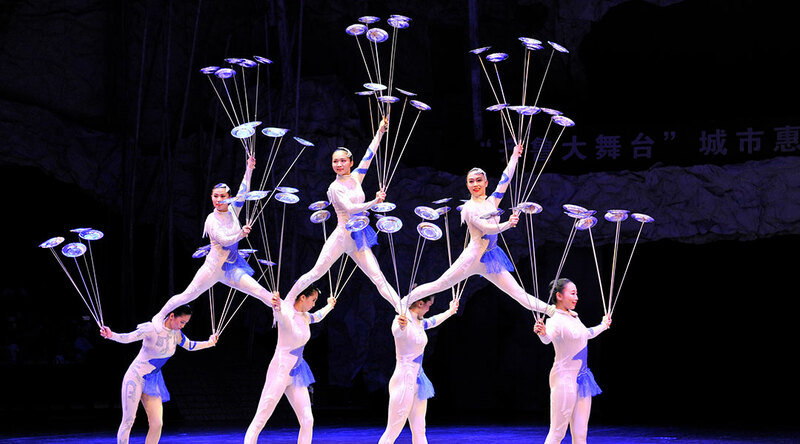 With performers selected from across China for their high-level acrobatic skills and innovative staging, the show includes award-winning acts from prestigious circus festivals such as Monte Carlo Circus Festival and World Circus Festival of Paris.